There is still more Lego Party goodness to come, but sharing the amazingness of homemade toasted coconut cannot wait one more minute. If you follow us on instagram, you know that I started the Whole30 last week. 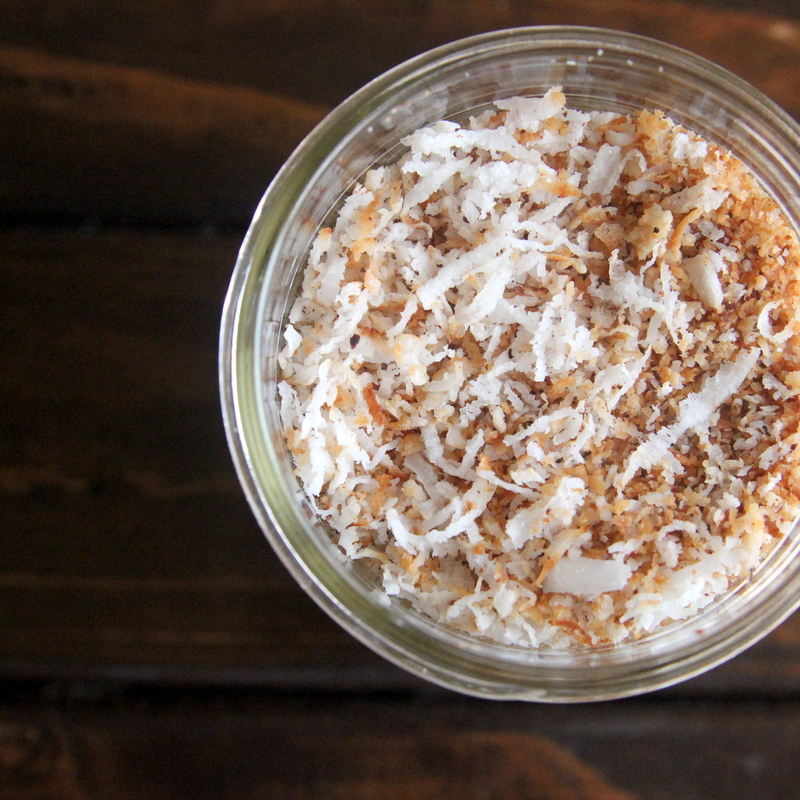 And this toasted coconut has been the tastiest Whole30 staple ever. I made it for a seriously yummy toasted coconut crusted chicken recipe (that I must share soon), but honestly, I just keep eating spoonfuls of it as well. 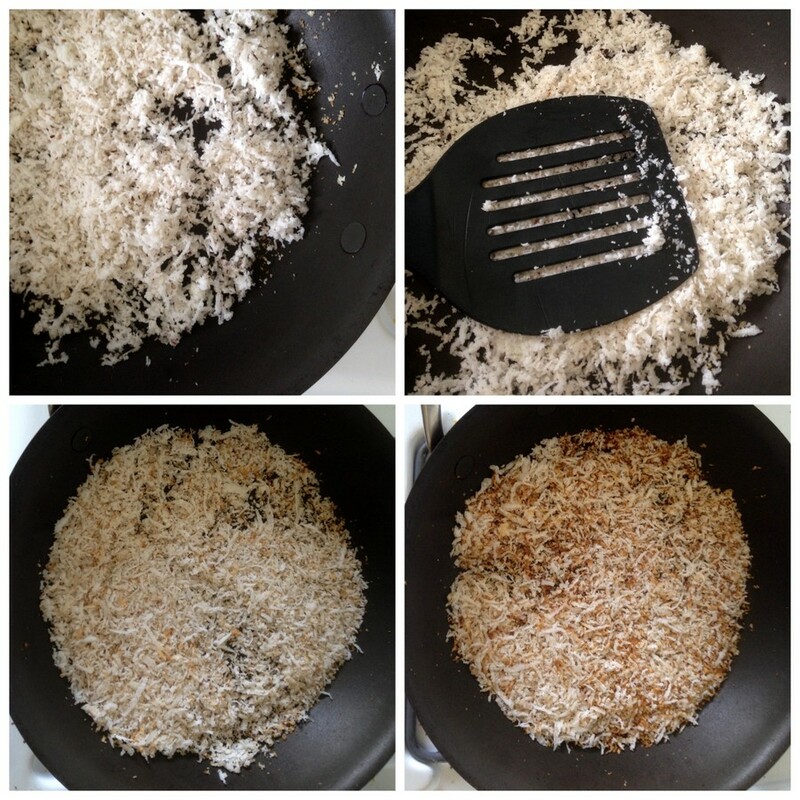 To make it, spread an even layer of unsweetened shredded coconut in a saucepan on low heat. Flatten with a spatula- you’ll hear it sizzle at first while the water cooks off. Continue to toast until the coconut is light brown. Did I mention that this stuff is so good? Leigh Anne- I have been making it every day. Seriously, daily batches. Isn’t that ridiculous? But SO good… ohmygoodness. And Piper just asked for some sort of coconut cake for her birthday, so I’ll have to incorporate this somehow! 🙂 Let me know if you try it too! Isn’t this the best ever?!?!!! We have a cake recipe that is topped with toasted coconut that my mom used to make for special occasions. Super easy! Can you eat pineapple right now? 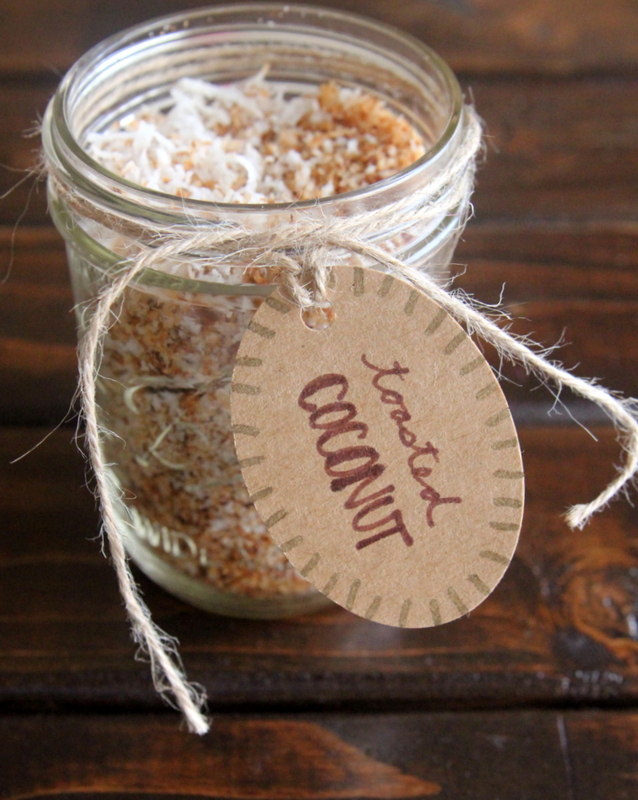 Try blending ice and pineapple, top with toasted coconut. If you try it let me know what you think. 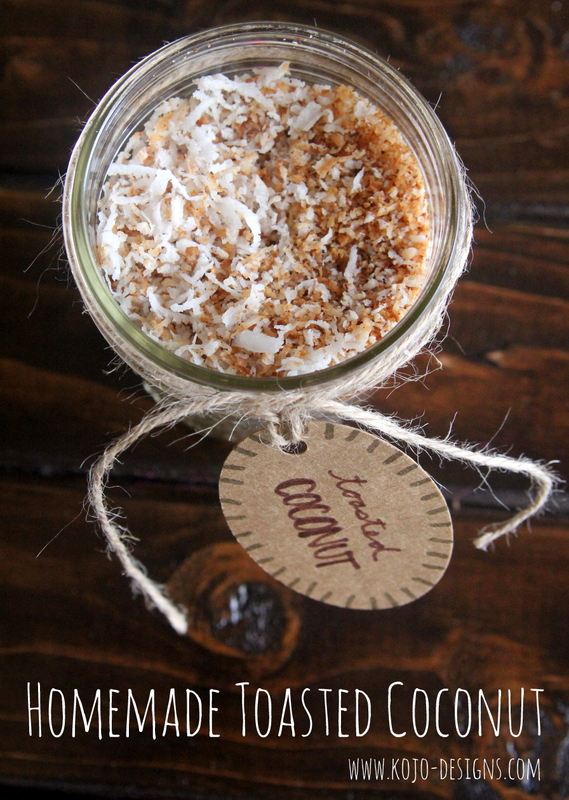 Or you can blend ice, coconut milk/cream, and pineapple then top with the toasted coconut. Greatest thing ever. Peggy, your pineapple ideas sound amazing. Like pina coladas! YUM! And will you send me your cake recipe? Pi asked for coconut cake for her birthday!